AmCham held its gala ball on Saturday, December 5th on the theme: This is Africa. During this event, AmCham awarded three of its members. Lixia Capsia Gestionis (LixCap) is in the investment advisory business that brings investment development expertise as well as direct investment tools to enable successful business creation and growth. In 2012, LixCap has worked closely with USAID on a project to identify market gaps in the export oriented cold storage logistic infrastructure that prevented Moroccan agricultural exports from taking full advantage of export opportunities worldwide. The result of this research was the identification of several greenfield investment opportunities in Morocco in cold storage. LixCap decided to focus on developing an opportunity at the Port of Tanger Med in the Zone Franche because it best meets the requirements of the U.S./International operators who desire to use Morocco as a logistics platform and to facilitate trade to/from the U.S.
LixCap led the process including arranging the investors, structuring the joint venture, establishing the new entity and engaging the management in the project. The initial project amounted 5,5 Million USD and is fully supported by the USAID’s Development Credit Authority (DCA) and has obtained a direct (portable) credit guarantee, the first such portable company guarantee awarded to a new (founding year) Moroccan company for 7,000,000 USD. The total financing volume is 11,000,000 USD. In addition, the company has brought a leading provider of cold and fresh storage, packaging, processing and handling logistics services in charge of creating the “Fresh Hub” at the Port of Tanger Med. The project is babtized Friopuerto Tanger SA (FPT) and will be operational in April 2016. With a special acknowledgement to Yacout Investment – main partner to Lixia Capsia Gestionis (LixCap). Nevo Technologies is in the technology industry. This company has brought more than 20 leading American technology brands to markets in Morocco and Africa and has created government solutions division, which is focused on developing highly specialized integrated digital and physical security systems. Nevo technologies total imports of made in USA products totalled 5,500,000USD and are expected to increase to 10,000,000 USD in 2016. Nevo Technologies has invested 150,000USD during the past two years and has created 20 direct Jobs in Morocco. Nevo technologies adopted a “Go Green” policy. 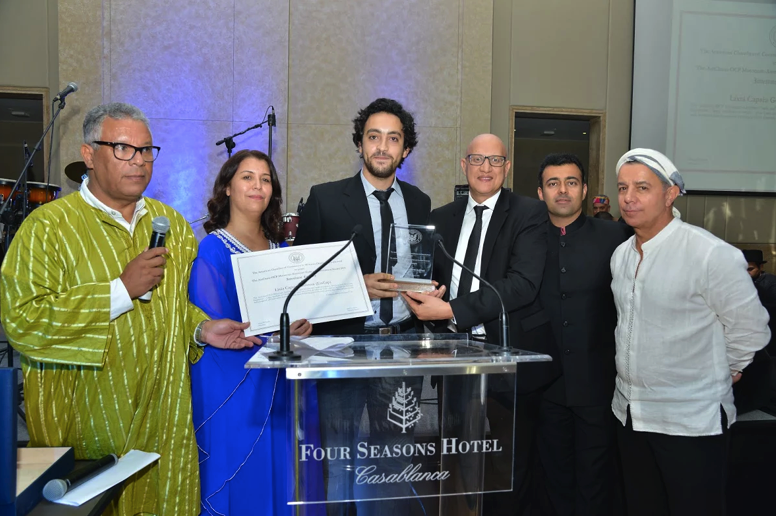 It also supports NGOs such as High Atlas Foundation, American International Women’s Association of Rabat and INJAZ – Junior Achievements. Souss Saffron has participated in the Amcham export lab program and took part in the eWomen exhibition and conference in Dallas, Texas, in August 2015. Souss Saffron specializes in the production and marketing of made in Morocco products including Saffron, Saffron Salt, Argan oil, Argan soaps, Prickly pear seeds oil and Rose Water. Souss Saffron’s products are Certified Protected Designation of Origin (PDO), Organic ECOCERT, and USDA NOP. Immediatly after the trip to Dallas, Souss Saffron has been able to receive orders from U.S. buyers and has delivered in a timely manner. At the present time, Souss Saffron has been selected by Walmart women empowerment program to sell on their online store and is in negotiation with a distributer in Toronto thanks to the eWomen Toronto chapter. Souss Saffron has created a women co-op of 20 members in the region of Taliouine that enables women to work flexible working hours while making a regular income. The co-op has allowed a very good number of children to buy school supplies, warm clothes and bicycles, as schools are often several kilometres far from the villages. The Co-op’s next goal is to start literacy programs. Souss Saffron total exports are 100,000 USD and is projected to double this amount in 2016.